Having started in the IT business in Victoria as 'The PC Doctor' I feel pretty comfortable stating that there's nobody doing mobile PC repair who's any better than me! That's a pretty bold statement, but my long list of satisfied past customers seem to agree. For many years people generally referred to any computer that wasn't an Apple product as a PC. However, in the last few years this has been changing. PC literally stands for 'Personal Computer'. This includes any computer used for personal reasons, including Apple MacIntosh computers. We now classify computers by their operating systems or manufacturers. Apples are Macs, what we used to call a PC is now most often referred to as a Windows computer. 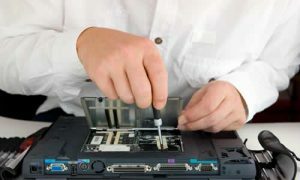 My point is that I have years of experience carrying out computer repairs on all types of machines running all types of operating systems. PCs have a number of typical issues that can cause breakdown and a call to your friendly local computer service professional. The first order of business in any PC repair job is to back up your data. So many of my clients are not familiar with how simple it can be to keep all of their important data backed up on the cloud so that it's retrievable from anywhere with an internet connection. Using my simple cloud backup system makes data recovery a quick and easy prospect. Your personal computer, your laptop or desktop, likely has become an integral part of your life. Many people use their phone or tablet computer almost exclusively, but a PC can still do things mobile computers cannot. If you are in the market for a new PC, please don't hesitate to get in touch as I can help guide you to the PC that's right for you. Once you bring that new PC home, having a proper PC set up can save you a lot of headaches down the road. An essential part of setting up your new computer is taking the necessary steps to protect you from viruses and malware. Of course, if it's too late for you and you suspect that you have some kind of an invasion slowing down your PC I can hop in the Clayton IT mobile and be at your home or office in no time to remove any virus or malware from your PC. 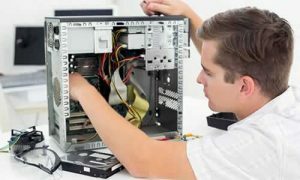 PC repair is an all-encompassing term that describes so many different services for your PC computer. It's like in-home tech support. Sometimes PC repair entails opening up your machine and physically swapping components. Sometimes it's a matter of installing a software application or monitoring performance. In addition to PC repair in the Victoria area, Clayton IT can also professionally set up your WiFi. Tired of dead spots? Frustrated by multiple zones and passwords? Suspect conflicts between your wifi and other wireless devices in your home? I can fix that! Ian Clayton at Clayton IT offers professional and expert mobile on-site PC repair in Victoria BC. Have your PC repaired in your home or within a day or two in Ian's home office. Never send your PC away again.